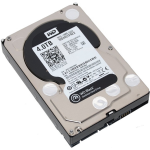 Laptop Hard Drive Upgrade in Hyderabad and Secunderabad. Computer, MacBook, Notebook HDD Replacement at best price, for Seagate, WD, Samsung. Is your Laptop Hard Drive not detected or Laptop Slow in booting, then its time to replace or repair Laptop Hard Disk. If Its Laptop HDD failed, then we have perfect tools to recover your laptop data. We use 100% Original Laptop Hard Drives to Upgrade Laptop Internal Storage Capacity (500GB, 1TB, 2TB) and support all major brands: Apple MacBook, HP, Dell, Lenovo, Acer, Asus, Toshiba, Sony VAIO. We also provide pickup and delivery at free of cost, Our expert engineers always doing research to find the best solution to fix the errors like not working problem, memory full and hard drive getting slower issues. We will replace the hard drive of your laptop to upgrade your system at an affordable price. So be confident to get the best out of your laptop.